Are You Ready for Raleigh’s Favorite Free Sports Festival? Is there any better way to welcome hockey season than with food trucks, free admission to a scrimmage, and activities for all ages? 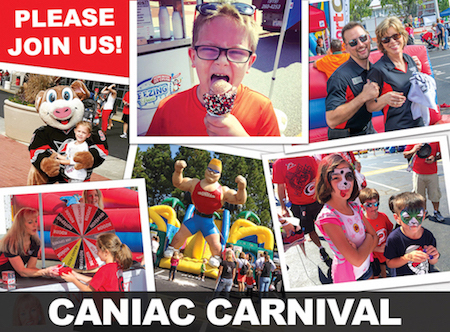 On Sunday, September 25th, join us for a fun-filled afternoon at PNC Arena in Raleigh for the annual Caniac Carnival. Between 10 AM and 3 PM, there will be activities happening in and around the arena. Live music, an autograph session with the Canes hockey players, a Red-White scrimmage game, and more than 15 food trucks are just a few of the day’s highlights. Don’t forget to stop by the Linda Craft & Team, REALTORS® booth to spin our prize wheel! Parking at PNC Arena, admission to the Caniac Carnival, and seating at the scrimmage game are free. You can find more Caniac Carnival information, including a list of the day’s activities, on our website. 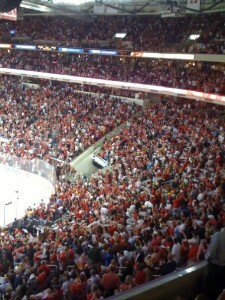 North Carolina’s professional hockey team, the Carolina Hurricanes, is based right here in Raleigh. The Caniac Carnival is an exciting kickoff event for the 2016-17 preseason. On Monday, September 26th, the Carolina Hurricanes will travel to the Verizon Center to compete against the Washington Capitals in their first preseason game. Need Another Reason to Live in Raleigh? Raleigh offers more than just free annual festivals and professional sports teams. As North Carolina’s capital city, Raleigh has plenty of affordable homes, a vibrant downtown, and many excellent communities. 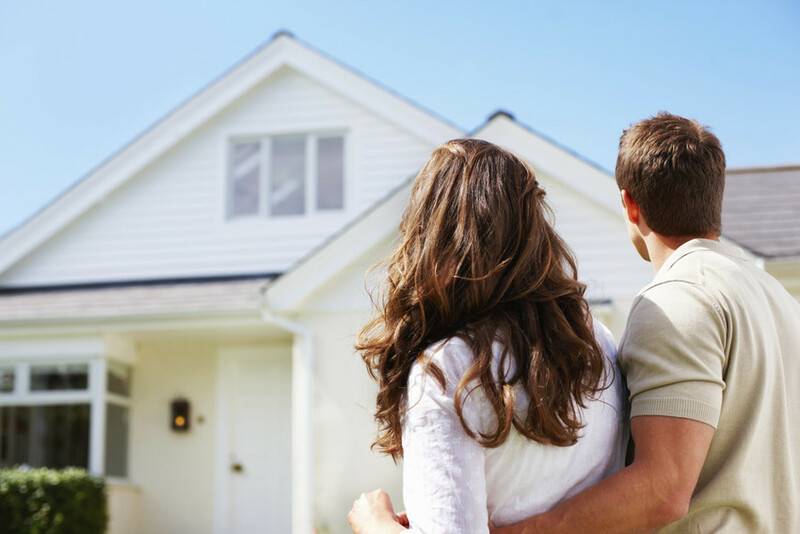 For over 30 years, we have helped Raleigh home buyers find their ideal place to live. What are you looking for in a home? Let’s talk. Call us at 919-235-0007. 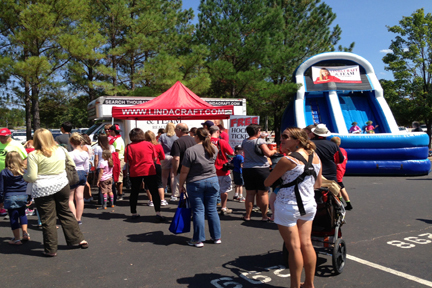 Please join Linda Craft & Team, REALTORS this Friday at the 15th Annual Caniac Carnival. The Caniac Carnival, which will take over the outside and inside of PNC Arena, will feature activities for fans of all ages, including a free Carolina Hurricanes Red-White scrimmage, and an autograph session with Canes players. HUGE double lane, inflatable slide for the kids! Contact us at Linda Craft & Team today if you’re ready to enter the market as a home buyer/seller and want some expert guidance along the way. We are excited to help you! The 13th Annual Caniac Carnival is just around the corner! Tonight is the Canes vs. Flyers game over at the RBC Center here in Raleigh. As the Canes Corporate Real Estate Sponsor, we are always very excited to be a part of each home game through our jumbotron fan activity. If you ever see us at RBC, please stop by and say hello! Looking For Fun, Free Things To Do This Weekend? Don’t forget Caniac Carnival this Sunday! Feel free to stop by our red Linda Craft & Team, REALTORS tent to register for FREE Hockey Tickets and to grab a free, cold bottle of water. We look forward to seeing you there! As the Corporate Real Estate Sponsor For the Carolina Hurricanes we would like to extend an invitiation to you and your family to join us at the Canes Annual Caniac Carnival. Live music, contests, inflatables, food, drinks and even an opportunity to have your items autographed by the Canes players! Be sure to stop by our red Linda Craft Team where you can register to win free hockey tickets to the game of your choice this year!